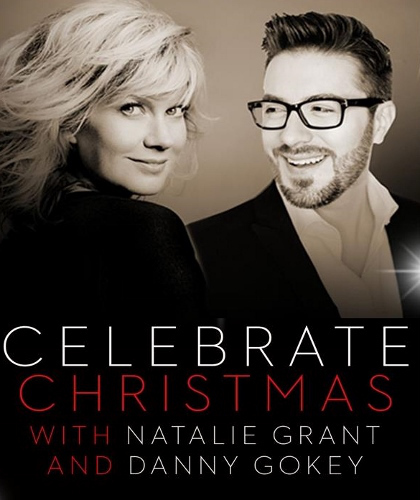 Two of Christian music's top vocalists, Natalie Grant and Danny Gokey, will kick off this year's holiday season together on the “Celebrate Christmas Tour,” where they will share the stage each night, performing Christmas classics, along with selections from Grant's critically-acclaimed, soulful-tinged Christmas project Believe, and Gokey's No. 1 album Christmas Is Here (2015). Starting Dec. 1, the Celebrate Christmas Tour is scheduled to hit 11 cities and runs through Dec. 18. The tour is sponsored by ChildFund International, a global child development and protection agency serving children and family members in 30 countries. For more than 75 years, ChildFund International has helped the world's deprived, excluded and vulnerable children survive and thrive to reach their full potential and become leaders of enduring change. For the tour schedule, tickets and more information, visit CelebrateChristmasTour.com. Also check out DannyGokey.com and NatalieGrant.com.